Let's take a peek under your vehicle. The axles, CV joints, and driveshaft of your car wear down over time. They can also become damaged after an accident or from simply driving in unfavorable conditions, such as a very bumpy road. Felix Auto and Tire wants to help you keep these important elements of your vehicle in perfect working order. To do that, regular inspections are necessary. 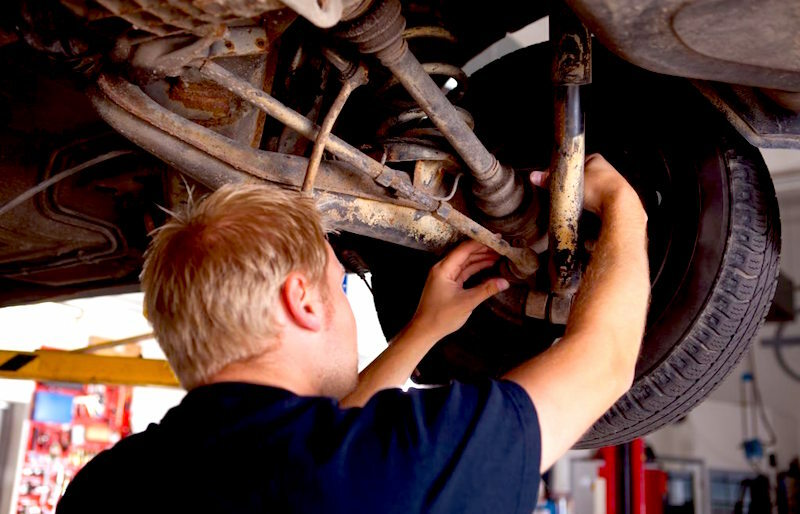 Typically, your car will give you some warning signs that something is wrong with the driveshaft or the CV joints. However, that isn’t always the case. Sometimes, the first problem you have is the one that leaves you stranded on the side of the highway! Axle damage, on the other hand, is most often caused by a hard blow in an accident. Never skip a regular inspection, and always have your car checked out after an accident, no matter how minor. You could save yourself a lot of money and hassle in the future! If you’ve been hearing an unusual clicking noise, this could be a sign that your CV joint needs to be repaired or replaced. Sometimes, replacing the grease from the CV boot is all it takes to fix it right up! A damaged or worn out driveshaft will cause your car to vibrate when you accelerate, or it can make steering more difficult. Axles will show visible signs of wear that are easily recognizable to a trained eye. If you’re experiencing any of these issues or if you know it’s been a while since your last inspection, call us today to have the axles, CV joints and driveshaft carefully inspected! The CV joint and driveshaft are responsible for getting the torque produced by the engine to the wheels of your car. Without these elements, you wouldn’t be able to steer your car, nor would it have any power going to the wheels. The axles support the weight of your vehicle, with the CV joints providing much-needed flexibility for the axles. All of these pieces work together to form the framework for the undercarriage of your vehicle. If one thing goes wrong, it could affect countless other elements and systems underneath your car.